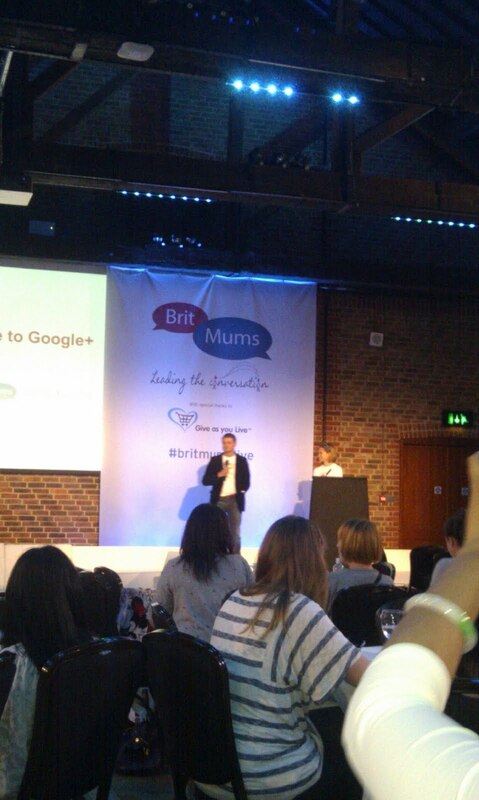 I decided to go to Britmums Live, the event for parent bloggers in the UK, this year and I’m so glad I did! It’s a yearly event for members of Britmums, one of the oldest parent blogger networks in the UK (and one which welcomes daddy bloggers too, despite the name). The bloggers who turn up are usually parents who blog about all kinds of things – family life, products for children, parenting challenges, cooking, crafts or small business (like me!). The first session I attended was a Google+ seminar: Google+ are currently reaching out to early adopters like bloggers and are keen to organise communities based around ‘shared passions’ – they suggested organising your circles to reflect your enthusiasms such as crafting, food etc so that you can follow people who share the same passion as you (and gain inspiration for blogs) and also so that you can share blog entries or other links with appropriate audiences. Lisa mentioned that a blogger who is keen to remain anonymous should create a Page for their blog; no one will know that their Profile runs the Page. Another cool feature they talked about is Hangouts: if you run a Hangout on Air you can stream if from your blog and it will be auto recorded and saved on Youtube. Some ways you can use this are for Product Reviews, How to’s, Q&A sessions, Book Clubs, Debates and of course Vlogging. Learn More about Google+Google Reader Integration One questioner asked whether Google+ had any plans to make it easier for users of Google Reader to share links. I was keen to hear the answer to this as I subscribe to a lot of RSS streams from blogs in my Google Reader and I don’t think I’m alone! I’ve often been baffled by the lack of ‘joining up’ in some Google services and think Reader would have been perfect for more sharing, not less, as it’s such a useful service. Google+ responded that they are keen to encourage manual sharing from Google+ itself at this point, to get people to use the service more and know it better, but might add more integration with other services further down the line. I’m not 100% convinced by this – how come Blogger has auto-share added, then? – but at least we know the official line! Several members of the audience had questions about merging Google+ accounts into one (is it possible? Short answer, no) and whether Profiles or Pages are better (short answer, use a Profile for your personal account and a Page for your professional account). This was a very useful session for those of us who are still learning about Google+ – it’s such a new network that there is a steep learning curve even if you are a Google obsessive, like me.